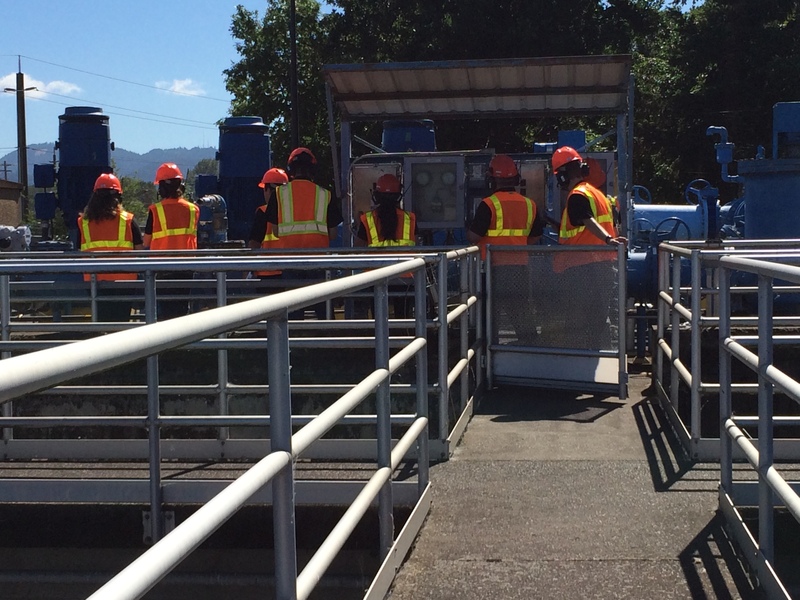 The Industrial Assessment Center at Oregon State University, also known as the Energy Efficiency Center, has developed opportunities to decrease energy usage and operating costs for the Eugene Wastewater Treatment Plant. The assessment team focused on the waste water treatment process as well as the energy utilities feeding them. The Industrial Assessment Centers are located at accredited engineering schools at 29 universities around the country and are funded by the US Department of Energy’s Advanced Manufacturing Office. Their primary function is to send teams of faculty and students to nearby small to medium sized industrial facilities and provide a full day assessment of the facilities energy use, productivity, and waste management systems. The service is provided at no cost to the facility, and the student team gains invaluable engineering experience in a real world context. As a result of the assessment, opportunities for saving energy were identified with respect to their boiler fan controls, pre-treatment mixing, aeration system, modifying fan sensors, and installing a more efficient filtering system. Recommended energy savings totaled 1.86 million in annual savings with an overall payback period of under a year. The assessment was led by Austin Aguilera, senior in Environmental Engineering, who reported “working with Eugene Wastewater was a pleasure. Their commitment to energy conservation made identifying potential opportunities a smooth process. It's always a joy to be a part of a project with a municipal utility because that means an entire community has just become that much more efficient." The recommendations identified by the team were discussed on the assessment day and implementation of these new energy saving practices can be expected.